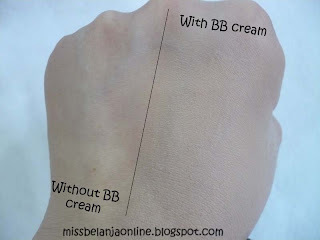 You maybe notice that I'm a BB cream junkie and many of my posts are about BB cream review. Well, I hope you're not sick with it. Today I will talk about Etude House Shiny Star BB Lotion. I've already use this BB cream for 2 months. The first time I bought a sample jar of this BB cream at BB cream Palace~ Then, when my fellow blogger, Shelvi went to korea, I decided to joined her pre-order and bought the full size. The Shini Star Whitening BB Cream is a light moisturising foundation that promotes a moist brightened and natural look. 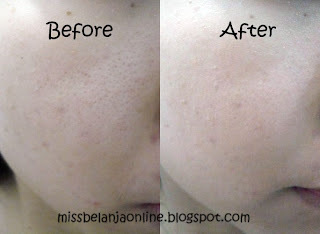 It gets rid of excess sebum and covers blemishes without drying, leaving skin even-toned and soft. It has a special oatmeal formula which soothes and softens skin. It also has colostrum extract that protects the skin from dehydration without irritating it, and helps prevent the loss of moisture in the skin cell to maintain bright healthy skin. Holiday is coming in a week~ yay! Btw, Right now I'm waiting my THR (I Don't really know what to call it in english :p). yay~~ (part 2)! What is your plan for this upcoming holiday? I love the fact you're a bb cream junkie, love reading them ! nice review ;) i agree with u about the pump.. hate the pump! too bad this bb cream only has one shade since I'm not having fair skin. Can U tell me, What's the best BB cream of all that you ever tried? Thank you Shasha, maybe i will try to use Tony Moly, hope it will work well on my skin. but I'm still curious to try Lioele Triple Solution BB Cream until now. unfortunately, it's hard to get the it in the market & expensive. Dear shasha..Itu bb shiny-nya beli dmn yah ? Soalnya murce mursida bgt bokk cm 78k. Di bb cream palace bukan ?